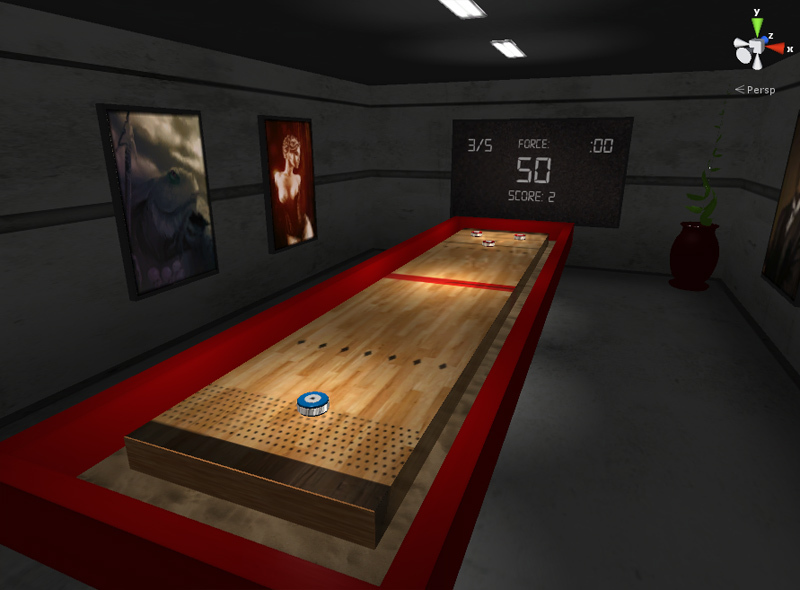 This is a sneak-peek screenshot of a shuffleboard game. I started working on this idea several months ago, but had difficulty. I recently overcame those problems and I am thinking about developing this more.